The GAZ-67 series was an enhanced Soviet four-wheel drive utility vehicle that was equivalent to the US-made Jeep (Willys GP). The GAZ-67 was a follow-on to the GAZ-64 developed in 1941 by the Gorkovskiy Avtomobilniy Zavod (GAZ) or translated as the Gorky Automobile Factory. The GAZ-67 series remained in production between 1943-1953 with well over 92,000 examples built. 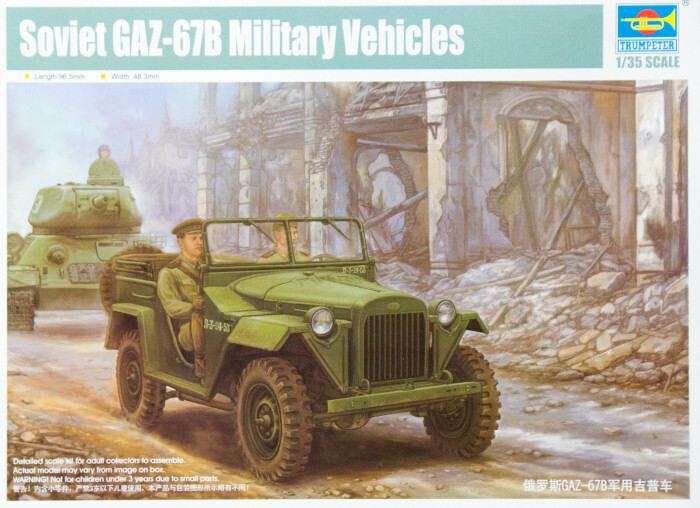 This is a very nice looking kit and will provide some very nice vignette or diorama options, especially with the MiniArt Soviet Jeep Crew set (35049) seated inside.